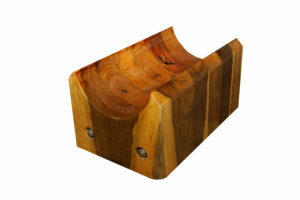 Hydro Bearing Innovation offering superior lifetime value and environmental benefits that is NSF61 Certified! Hundred’s of Hydro Plant Owners rediscovered this proven technology! THIS HORIZONTAL BEARING FOR A WATER PUMP IN A HYDRO FACILITY IS VERY COMMON AND OFFERS SUPERIOR LONGEVITY, NSF61 CERTIFICATION AND NO RISK OF OIL SPILLS. With the investment in Solar and Wind Renewables that are not reliable sources of energy, storage will become a huge asset. Hydro power is the cleanest and lowest lifetime value cost of any renewable energy source. In addition, “Pump Storage” facilities will be critical to offset the inability of Wind and Solar to provide consistent on demand power. Pump storage facilities are the best solution and Water/ Self lubricated Lignum Vitae bearings will lead the industry as an EPA compliant, NSF-61 Certified superior reliable bearing!  Lignum Vitae Bearings are the oldest water-lubricated/self-lubricated bearings known to man. Lignum Vitae is the best answer for your hydro power plant. No other water-lubricated bearing last as long and has the pristine history of water-lubricated bearings such as main guide, stave, shell or stacked block, or even thrust bearings. Known for its extreme durability and longevity in the hydro industry; Lignum Vitae bearings create zero pollution and are key to anyone wanting clean renewable energy. When you add all of the maintenance cost, risk of oil spills and adjustments of other bearings Lignum Vitae is the best answer to maximize your uptime and keep your aging Hydro assets running. Make it Lignum Vitae! Bearing Innovation starts with us! When Considering Lignum Vitae Bearings download our Bearing Cost PDF! The best main guide bearings for hydro plants around the world: self-lubricated, water-lubricated, longest lasting, zero pollution, environmentally superior. After numerous interviews and visits to hydro installations we discovered that the material operated flawlessly for decades resulting in millions of dollars of savings for hydro plant operators. Mission Statement: Replace every environmentally threatening oil filmed bearing and failed experimental plastic bearing resulting in millions of dollars of savings in the hydro industry. Replace all oil film and plastic type underwater main guide bearings. Lignum Vitae bearings serve turbine diameters of any size. The only environmentally responsible renewable industrial bearing known to man.